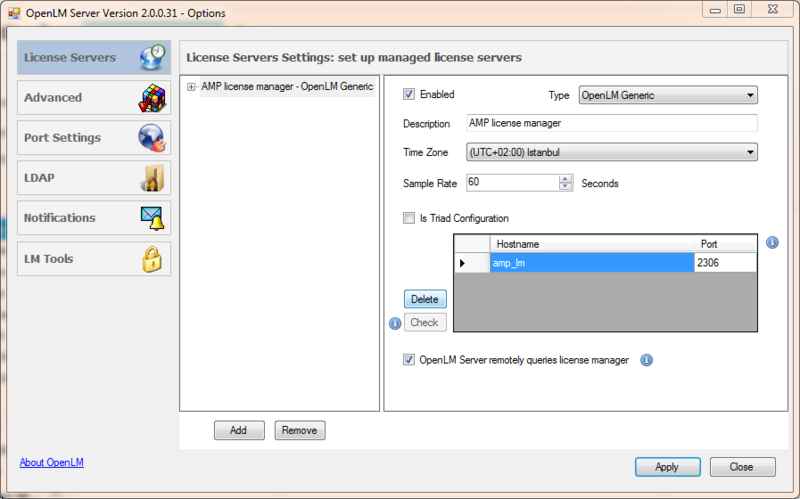 OpenLM version 2.0 supports license monitoring of a wide, and ever growing variety of license managers. This application note elaborates the steps required to configure OpenLM to interface the AMP License Manager, and obtain reliable license reports and usage statistics. In a nutshell, the AMP license server is periodically queried for license usage. The response to that query is produced as an XML file, which OpenLM parses. 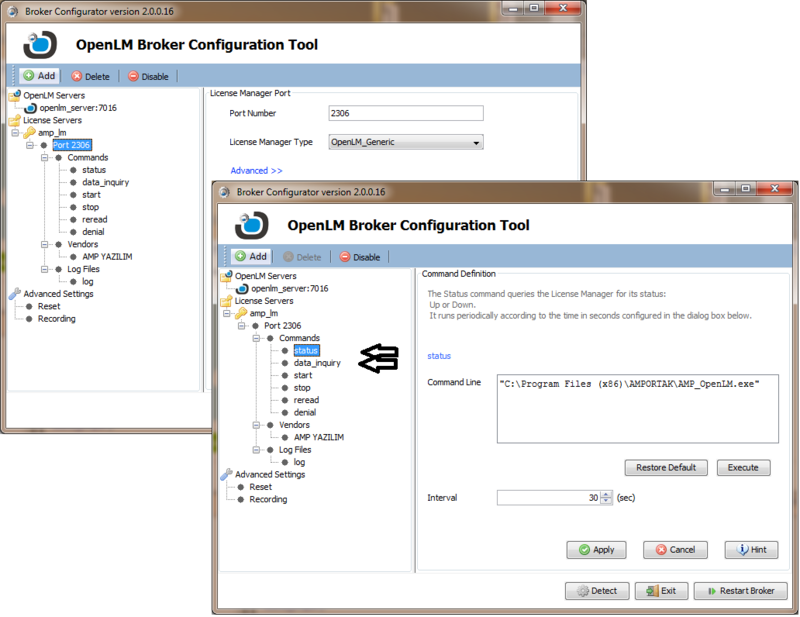 OpenLM then presents the usage results in its EasyAdmin web application. Type in the AMP command line in the Broker’s “data_inquiry” command text box. The command is: “<Full path to AMP_OpenLM.exe>”.